Pumlumon - Five Peaks Mountain or HillPlynlimon (from Pumlumon in Welsh, meaning "five peaks") is the highest point of the Cambrian Mountains in Wales. It is a massif that dominates the countryside of northern Ceredigion. The highest point of the massif itself is Pen Pumlumon Fawr at 752 metres (2,467 ft). Its other important peaks are Pen Pumlumon Arwystli, Y Garn, Pen Pumlumon Llygad-bychan and Pumlumon Fach. 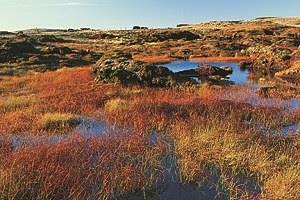 The longest river in Britain, the River Severn, has its source on the mountain, as do the rivers Wye and Rheidol. Folklore says there is a sleeping giant in Plynlimon. Walking, bird-watching, riding, mountain-biking, trout-fishing - there are opportunities to enjoy many activities in this breathtaking and peaceful landscape. Whether you want to stride out over Plynlimon Mountain in the historic steps of George Borrow, stroll through the enchanted Hafod Forest, get close enough to feed the majestic red kite or just relax in the breath taking countryside, Pumlumon - Five Peaks is the place for you. Escape the crowds and treat yourself to a relaxing break in the hills and valleys around Pumlumon. 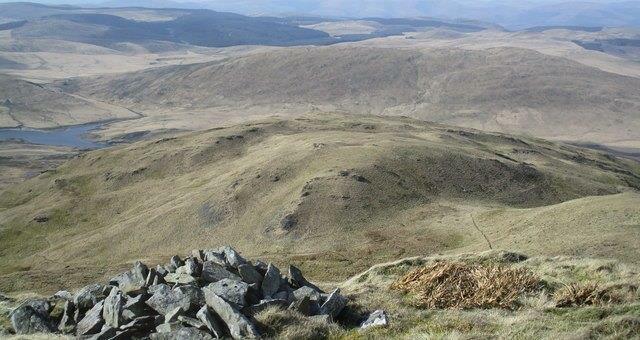 Plynlimon (from Pumlumon in Welsh, meaning "five peaks") is the highest point of the Cambrian Mountains in Wales. From North Wales: Take the A470 (or coast road) to Dolgellau, then the A487 to Aberystwyth. From the North:Follow signs from Chester to Wrexham, then Oswestry, Welshpool and Aberystwyth. Both routes - go straight to Aberystwyth, or take the A4159 at Bow Street. The Adventurous can drive the Scenic Route from Tal-y-Bont. From the Midlands:The Five Peaks area is less than 2 hours drive from the Midlands. From The M54 / A5, follow signs from Shrewsbury to Welshpool then Aberywtwyth. From the South:M5 to Birmingham and then as from the Midlands. From South Wales:M4 to Carmarthen, A485 to Lampeter, A482 to Aberaeron and take the coast road to Aberystwyth. If desired, take the A485 or A4120 Scenic routes before reaching Aberystwyth. From Aberystwyth, the heart of the Five Peaks area is only 10 minutes drive.